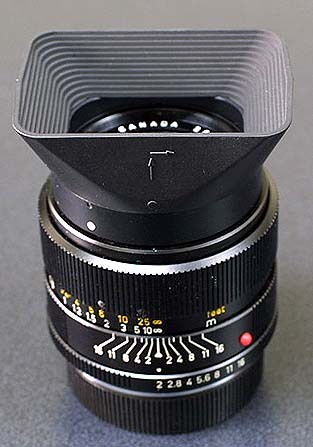 This is a lens with 9 elements in 7 group. Massive image when compared with Type II. Lenshood is the same one which also goes to Elmarit-R 28mm/f2.8 (Type I) and Elmarit-R 35mm/f2.8 (Type II) # 12509. 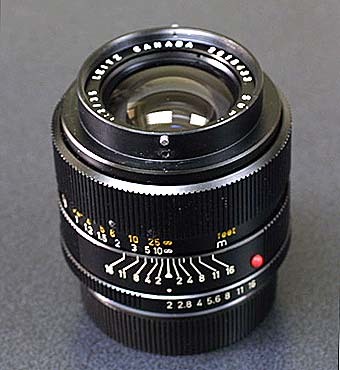 This lens bears Leitz Canada name on it. 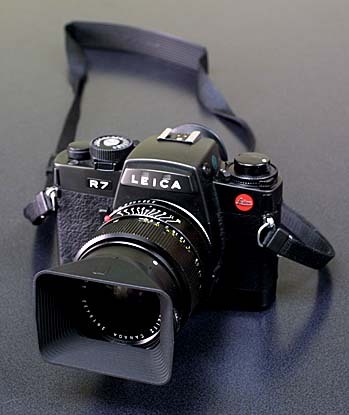 Originally came as 2-cam lens and additional R-cam was attached later. It fits well to R7.